California and other states have forced non-union worker automatic deductions of the equivalent of up to 85 percent of union dues charged to all public employees, to pay for the supposed benefit all public employees receive from the union’s collective bargaining efforts and representing worker grievances. 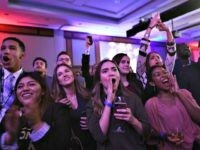 The 15 percent partial refund of union dues supposedly accommodates workers who disagree with union political action spending. But the Public Policy Center estimates that 30 percent of public employee union dues go directly into political spending. That does not include up 20 percent more in union dues for lobbying and support of electoral initiatives that have political undertones. California teacher unions’ political contributions from 2004 to 2016 rose from $4.3 million to more than $32 million. An average of 94 percent of teacher unions’ political spending went to Democrats since 1990, according to the non-partisan Open Secrets review. The Socialist Worker highlights that when the state of Wisconsin passed Act 10 in 2011, which overturned mandatory public employee fair-share fees, public employee membership dropped by an average of 40 percent. Union membership for the American Federation of County & Municipal Employees fell by 70 percent; teacher unions lost 50 percent. 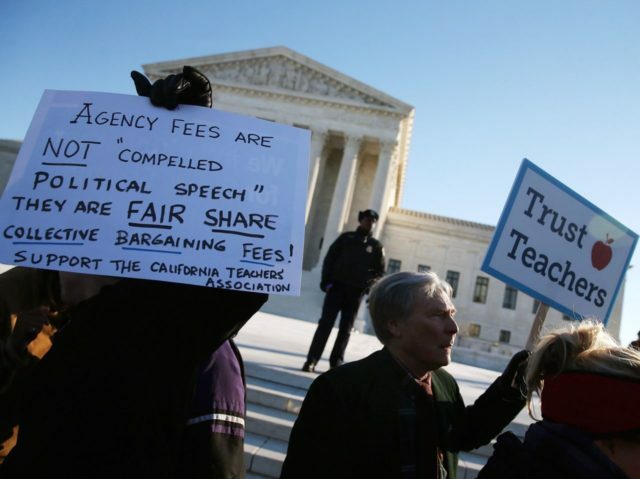 Assuming that the U.S. Supreme Court votes against mandatory collection of public employee fair-share fees, California’s Democrat-controlled legislature passed a state law requiring all new state and local workers to attend a mandatory union orientation meeting. California Democrats are moving forward other with union-backed legislation, such as new laws that would grant unions the right to charge fees to non-union workers for arbitration services.